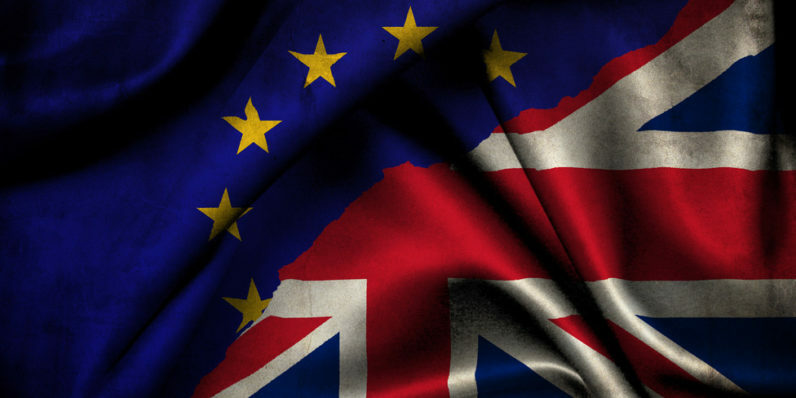 What does Brexit mean for the fight against cybercrime? In less than five months, Britain will leave the European Union. Although the referendum debate gravitated to a few small areas, like immigration and trade policy, the reality is that Brexit has much broader implications. Take, for example, law enforcement. Thanks to the institutions of the EU, Europe’s police forces are able to seamlessly co-operate on investigations, and extradite suspects from one nation to another. But what will happen after March 29, 2019? At CyberSecurity Connect UK, which took place last week in Monaco, TNW spoke to Peter Goodman, Chief Constable of Derbyshire Police. During our chat, we talked about the implications of Brexit on the fight against cybercrime, which frequently transcends national boundaries. “The one crime that knows no borders is cybercrime. You can have the perpetrators in one location, the infrastructure in another, and victims all around the globe,” he said. For law enforcement agencies to effectively combat these trans-national digital crimes, they therefore must work together. Over the past forty years of European integration, institutions and apparatuses have been built to facilitate this collaboration. “International co-operation is vital for us,” Goodman explained. “If we lose the ability to work through EuroJust or EUROPOL, if we lose the European Arrest Warrant, if we lose the opportunity to have JITS, or joint investigation teams, then that really hamstrings us in Europe,” he added. Goodman explained that future law-enforcement co-operation with Europe depends on the outcome of the negotiations, which are currently taking place between Whitehall and Brussels. “If we get a negotiated deal, and that includes co-operation between law enforcement, that would be great. If we get no deal, that’s very difficult for us,” Goodman explained. Derbyshire Police, like all UK police forces, have spent the previous two years preparing for both scenarios, the details of both are closely-guarded secrets. However, Goodman explained that whatever happens, UK law enforcement co-operation with Europe will continue in some form. The UK joined the EU (or, more accurately speaking, the precursor to the modern EU) in the 1970’s. Police forces have worked closely with their European counterparts ever since then, and the ties and friendship run deep. “We will always have the relationships we’ve got, and there’s a real desire to continue working together, but [Brexit] means that some of the mechanisms will be missing,” he added. This, in a nutshell, is Brexit. It complicates things in ways that those who voted for it, and those who are implementing it, failed to foresee. The painful and expensive divorce from Europe won’t end trade between the UK and the EU; it’ll just make it more bureaucratic and expensive. Brexit won’t end immigration; however, it’ll make it harder, with vastly more hoops to jump through. And Brexit won’t end cybercrime co-operation between the UK and the EU’s police forces and law enforcement institutions. It will, however, dramatically slow things down, and add a layer of bureaucracy and diplomacy that doesn’t currently exist.